These 2 Dogs Have Less Than 24 Hours To Live. Can You Help? UPDATE: We've just received confirmation from NE Derbyshire District Council that our two featured dogs, 'Bert & Ernie' have now found homes. Bert has gone to a permanent home and Ernie has gone to a home for a trial over the weekend. There is however a waiting list for him if that isn't successful. 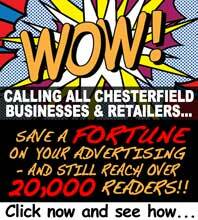 NE Derbyshire Dirstrict Council (and The Chesterfield Post) would like to thank everyone who expressed an interest. Bert and Ernie (left and right below) are both being housed at the Dog Control Kennels and as is their policy, they will unfortunately be sadly put to sleep today if a home or place in a rescue centre can't be found. Can you or anyone else you know help them out? Bert on the left is a sweet old gentleman is looking for a new family to love. 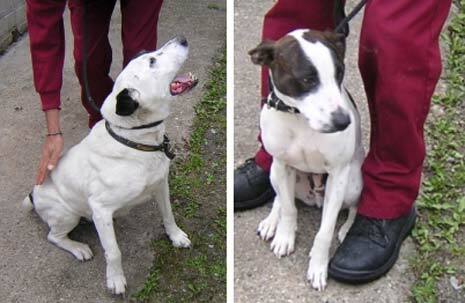 He's a medium sized elderly (approx 8 years) cross breed found in the north of the district. He's a good natured, steady dog and is desperate to find a new home before Friday this week. Unfortunately, time is running out for Bert as he's overstayed his time in kennels, and if we can't find a home for him, or place him in a rescue centre, then he will sadly be put to sleep. Ernie on the right is a gorgeous little terrier cross was found in the north of the district. He is mainly white with black and brown markings and is approximately three years of age, is in good health and has a lovely nature. Ernie is also in desperate need of a new home by the end of this week. If you or anyone you know can give Bert or Ernie a home, please contact our Dog Control Officers, Steve Jacques on 07866 690271 or Melvin North on 07816 913727.